Shawn wrote to me and asked how he can measure if someone is really ready for the challenges of being an entrepreneur. 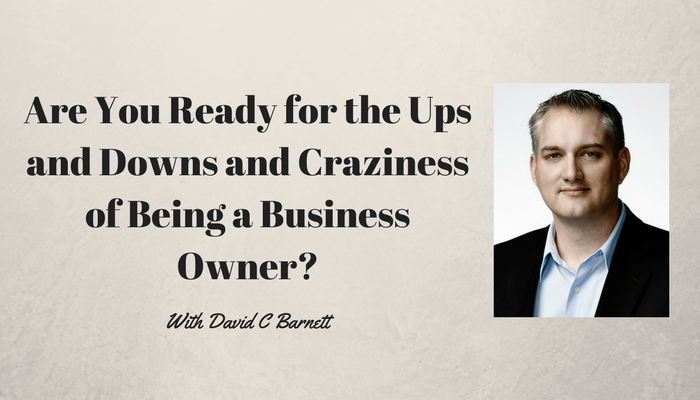 When I was a business broker I also wanted to know if people were ready to be business owners. Especially those civil servants with fat pay cheques, great benefits and an awesome pension waiting in their future. Would this person really quit all of that to get into the uncertain life of a small business owner? To determine if I was dealing with someone serious or not, I developed a couple of tests that I could use to see if someone had the guts to be their own boss. Sleepless nights will be the least of your worries if you make a major error and overpay for a business. You need to learn what you’re doing. My online course teaches what most people need to know to spot a bad deal. Learn more at www.BusinessBuyerAdvantage.com. Labels: buy a business, ready to be a business owner?